County Democrats and local activists are planning a series of community forums to talk through the issues of race and sexual assault that have roiled Virginia politics for the past week. With all three of the state’s top Democrats — Gov. Ralph Northam, Lt. Gov. 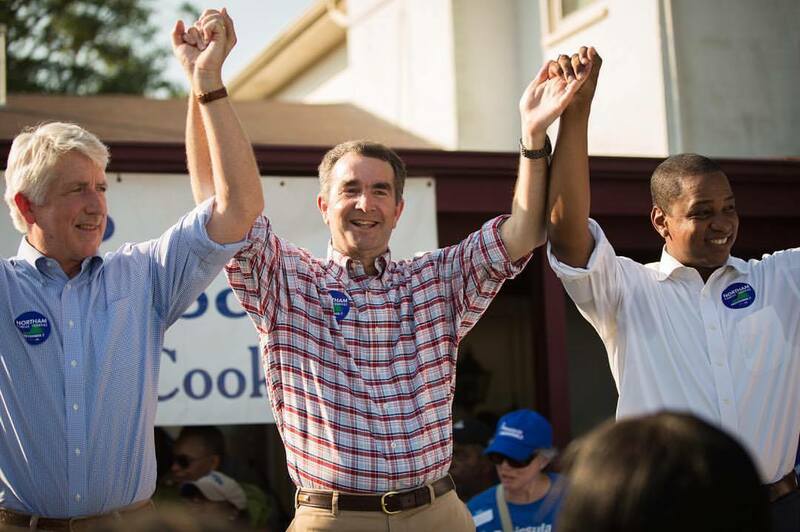 Justin Fairfax and Attorney General Mark Herring — now mired in scandal, many within the party are searching for a way forward. There’s no telling whether any or all of the group will resign, leading to quite a bit of uncertainty at the top ranks of the party’s leadership. In the meantime, the county’s Democratic Committee is planning two “listening sessions” covering some of the matters at the heart of the scandals in Richmond. The first will focus on “racial equity” and will be held tonight (Thursday) at 7 p.m. at the Walter Reed Community Center (2909 16th Street S.). The revelation that a racist photo appeared on Northam’s medical school yearbook page, and the governor’s subsequent admission that he once wore blackface, kicked off the current crisis plaguing state government. Herring’s admission yesterday (Wednesday) that he too once donned blackface added further fuel to the political fire. The next listening session will focus on sexual assault, after a college professor accused Fairfax of assaulting her in Boston in 2004. The lieutenant governor has faced a bit less pressure to resign than Northam, but some have started to ramp up calls that his accuser deserves to be heard. The event will be held on Sunday (Feb. 10) at 6:30 p.m. at the Arlington Mill Community Center (909 S. Dinwiddie Street). A group of local activists also plan to hold a listening session to discuss the Northam controversy and its “implications for those who want to be allies in the fight for racial justice,” according to the event’s Facebook page. The event will include four panelists, and will be held at the Unitarian Universalist Church of Arlington (4444 Arlington Blvd) at 7 p.m. on Friday (Feb. 8).